Actor Kit Harington remembers that he broke down and cried in front of a "Game of Thrones" fan after filming the show's final season. 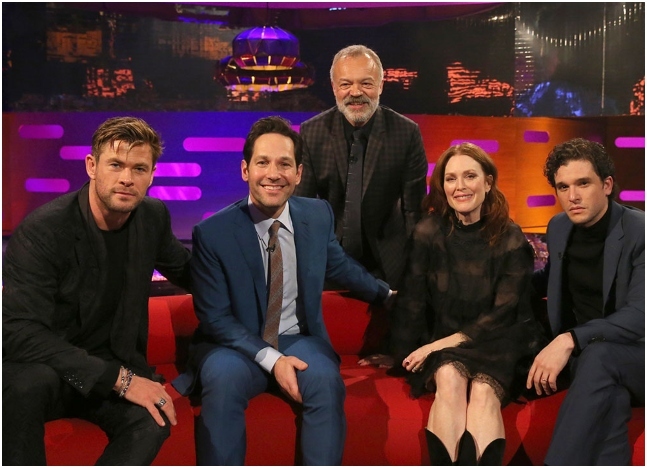 Recounting the story on an episode of “The Graham Norton Show”, the 32-year-old actor who plays the character Jon Snow, admitted that he got emotional in front of a fan on the street after the filming wrapped for the show’s final season. Harington is about to say goodbye to the character he has played for the past eight years since Game of Thrones’ debut in 2011. The actor was determined to be cool till the end of the show and had decided that when people would ask him if he was Jon Snow, he would calmly reply, “I used to be”. After leaving the set of the popular show for the final time, Harrington encountered a fan who asked him the same question. He ended up breaking down and crying out the same answer. The final and eighth season premiered internationally on April 14. It will air in India on Star World on April 16.